Gallagher has driven for GMS Racing in both the Truck and Xfinity series since 2013. He began the 2018 season as the full-time driver of the No. 23 in the Xfinity Series and competed in the first nine races before an indefinite suspension for a violation of NASCAR’s substance abuse policy. 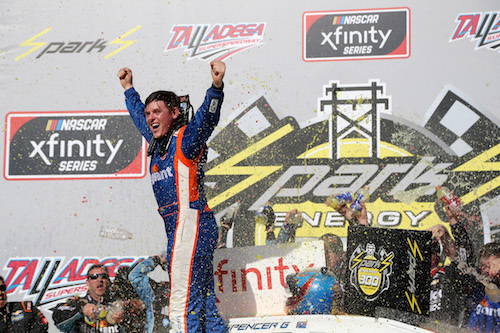 The suspension came after he claimed his first series win at Talladega (Ala.) Superspeedway. He was reinstated in early July but has only raced part time in the Xfinity and Truck series since his reinstatement. In 56-career Xfinity Series races, Gallagher has a win, three top-fives and 10 top-10 finishes. Meanwhile, he has 60-career starts in the Truck Series, with just one apiece in each of the last two seasons, resulting in three top-fives and 15 top-10 finishes. 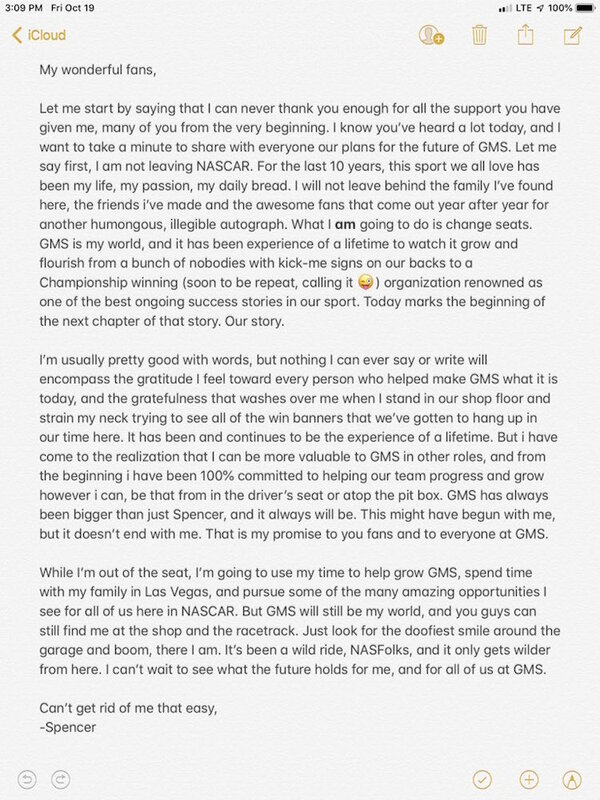 GMS Racing fields only the No. 23 Chevrolet in the Xfinity Series but is a multi-truck team in the Camping World Truck Series. With Johnny Sauter, the team won the 2016 Truck Series driver championship. Sauter, still with GMS, is the championship leader heading into the final four races of the 2018 season. GMS Racing has two entries among the six remaining in the Truck Series playoffs, the other driven by Justin Haley.